My favorite lens cap for my 360 cameras isn’t a lens cap at all… it’s a microfiber pouch. I love it so much I bought seven of them. Here’s why. Keeping your lens clean and scratch free is important for lenses, but it’s absolutely crucial for 360 camera lenses. Their extremely short focal length means that scratches and smudges WILL definitely show up in your shot and affect your image quality far more than it will affect a normal or telephoto lens. Using your shirt to clean your lens is convenient, but as B&H Photo says “use your cotton t-shirt at your own risk.” I confess I do that sometimes, and I don’t know if it’s because of that but I’ve had to replace my Keymission 360’s outer lenses (around $40 each!). – It will also probably fit the Kodak Orbit360. As I mentioned, it also fits GoPro cameras (with the waterproof housing). 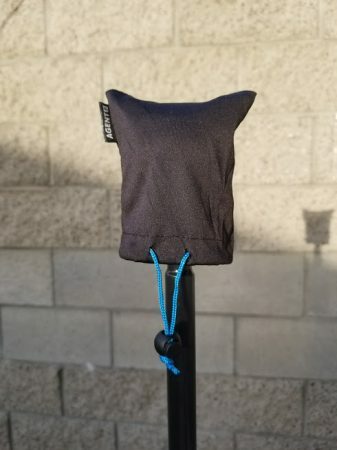 I like the fact that the pouch allows me to put the cameras with their tripod mount facing the pouch’s opening so I can attach or detach a selfie stick or monopod while holding the camera with the pouch. I use the microfiber pouch to handle the camera (be careful not to drop the camera) as I attach the camera to the monopod or other stand. I keep the pouch on the camera until I’m ready to shoot. For my Insta360 Pro, I use this Black Squid 10 x 14 inch microfiber pouch, and for my Panono, I use this 8 x 11 pouch, also by Black Squid. The 8 x 11 can fit the Insta360 Pro but it’s a tight fit, so that’s why I got the 10 x 14 instead. Please note a microfiber pouch is quite thin and is NOT a substitute for a camera case per se, but rather it’s an additional layer of protection and a convenient way to clean my lenses and keep them clean while handling them. So far I’ve been happy with these microfiber pouches (the Agent 8 and the Black Squid pouches) and would recommend them. Thank you for using the links above to support 360 Rumors at no additional cost to you so I can do more tests and reviews! I use the exact same setup. Perfect to clean the lenses inside the pouch before removing it when to shoot. is there a issue or problem with using the xiaomi included one ? Put one bag inside another and bubble wrap or similar in between and you got better protection. Thanks Kimmo. 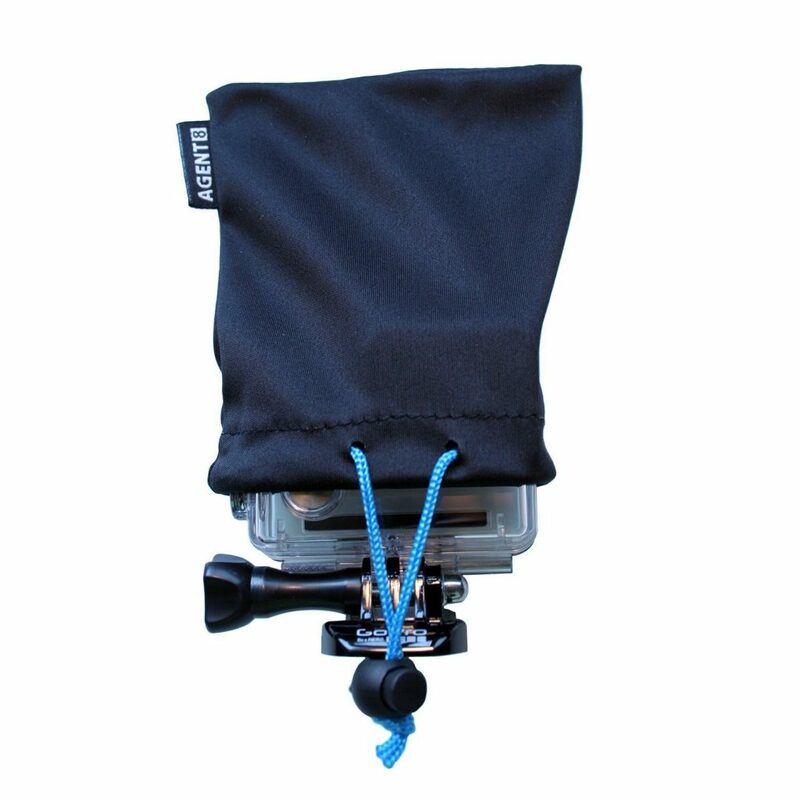 The primary purposes of this pouch are to keep the lens clean and to clean the lens. It’s not very good for protection (besides avoiding dust and smudges) because it’s very thin. So yes using a bubble wrap within another pouch could work for better protection.